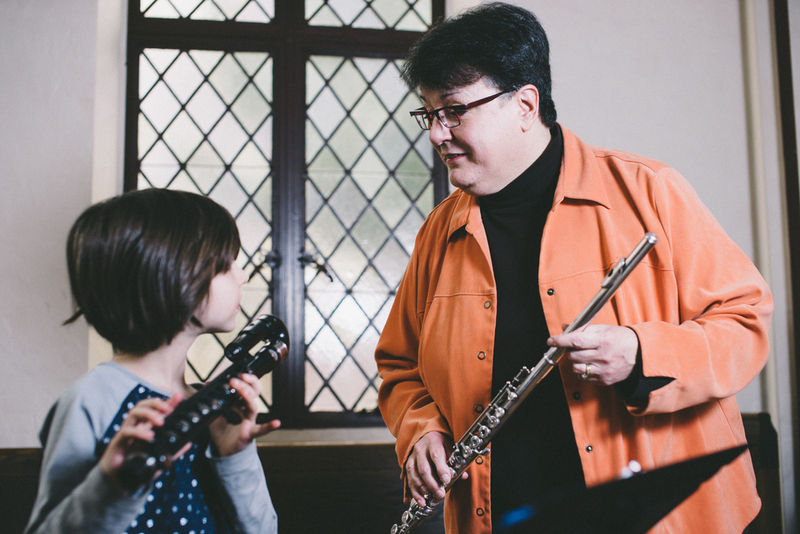 Wendy Webb Kumer teaching a young flutist at the Pittsburgh Flute Academy. Photo by Christopher Ruth. World Premiere of Joe’s Treat by Pittsburgh flute composer Gay Kahkonen performed by an all ages and levels 140 piece flute orchestra from the Flute Academy and the Pittsburgh Flute Club on 10/26/14 at Heinz Hall. This is PFC’s first commission and Gay dedicated it to “our” Joe Bonadio, now 92, soloist, who began playing the flute at age 79. ← Flutes for life, flutes for all. Flutes for life, flutes for all.